When NBA All Star Weekend began we knew there were going to be some changes. The NBA is always looking to spice things up and come up with something new to excite the fans. This year I think we were a little more confused than excited. It all started with the Skills Challenge. This event usually features point guards and is competed by individuals. This time they decided to make almost everything a team event, pairing two players from both conferences to compete together. The change did not bother me but it was just very different. The fact that they had DeMar DeRozen and Giannis Antetokounmpo compete as a team was awkward because the two of them had no chance against those guards. When Damian Lillard and Trey Burke won the competition together, it was cool but it is a little weird since they’re not actual teammates. Also it would of been nice to see them compete against each other for the ultimate title. The new format of the three point contest was dope. I liked the money ball rack idea. Also before I forget it was good that they didn’t change anything in the Shooting Stars Challenge as well. Now the dunk contest completely threw me off. The freestyle round was wack. I understand that they wanted to do something different but it just did not work. Having all three people from the conference out there dunking together for two minutes was just a waste of time. Then the battle round threw me off as well. We only got to see one dunk from each player, which shortened the contest by a lot. I understood the format but I felt like this contest was too hyped up to only have the guys dunk once. 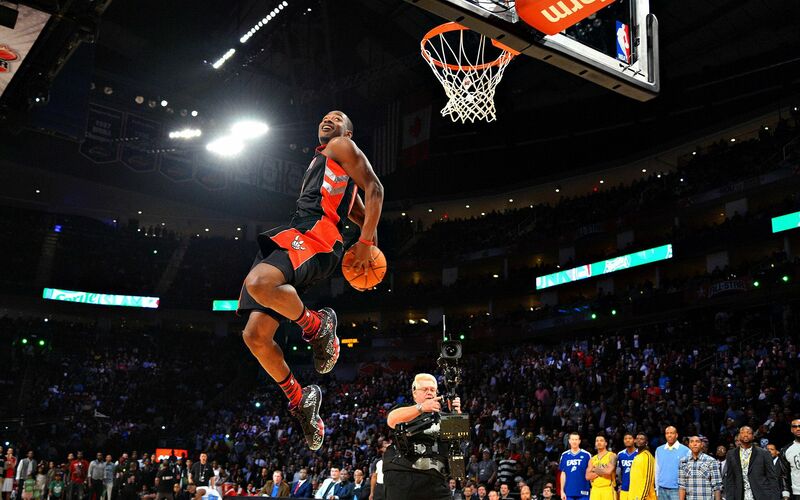 The East won the competition and John Wall won dunker of the night but it just happened so fast. I watched the NBA D-League Dunk Contest and the format was unchanged, and actually very good. They probably shouldn’t of changed anything for the NBA. I hope they don’t throw anything crazy into the all star game. Its bad enough they’ll be wearing those damn sleeved jerseys.